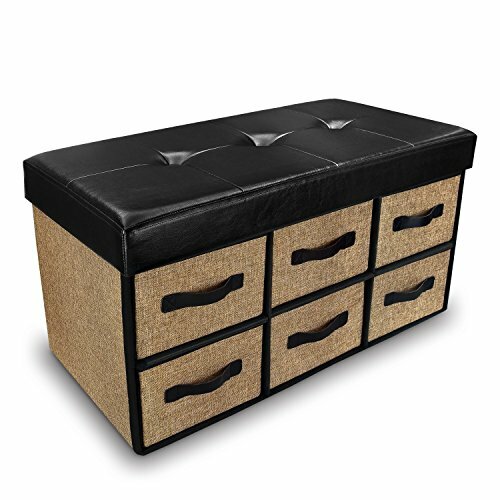 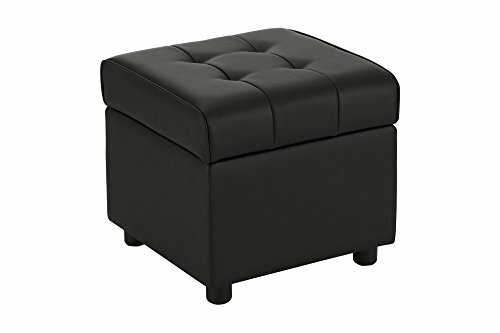 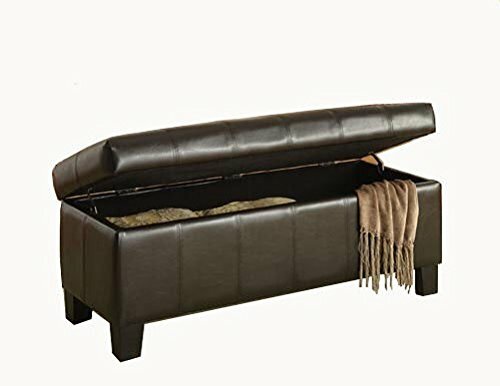 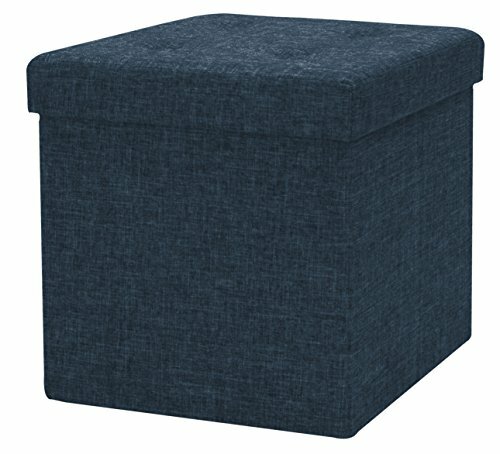 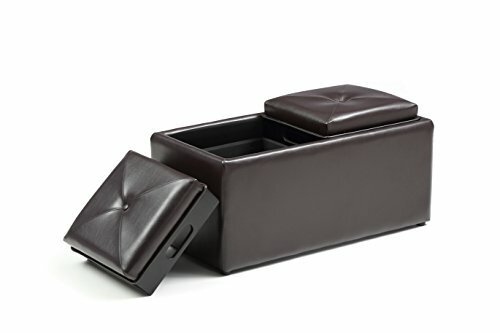 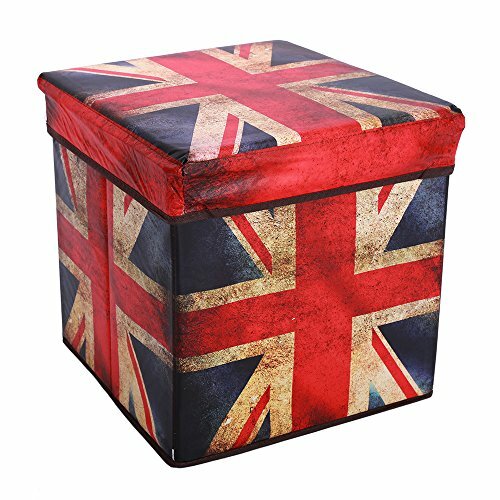 This Hodedah ottoman is made of sturdy wood construction with durable leatherette upholstery. 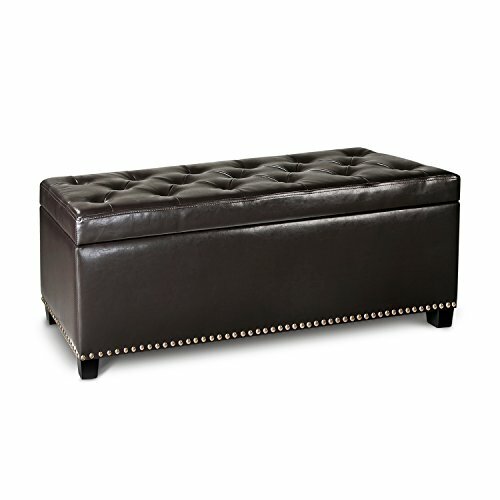 Reversible serving trays makes this ottoman multifunctional. 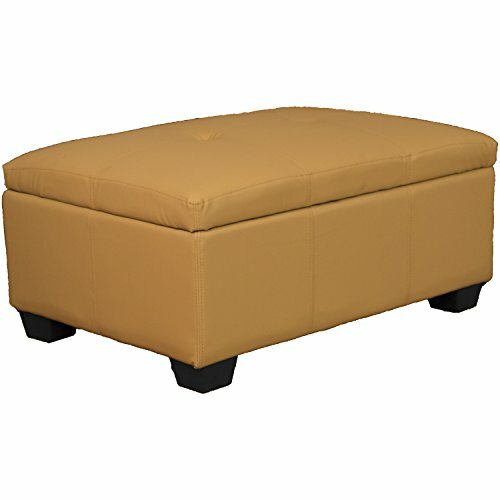 It can be used as a seat, foot rest or table. 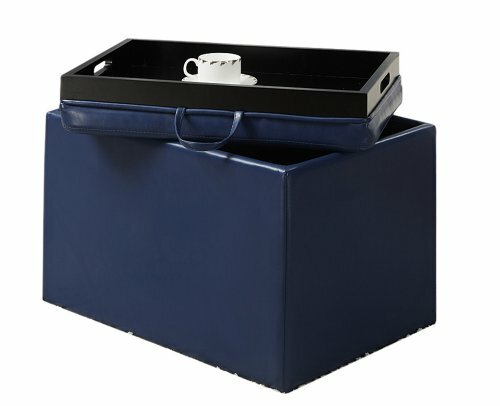 It's perfect for storing sheets, toys, books, or other small items.